A winter storm is projected to bring significant amounts of snow and ice to Central New York. The National Weather Service is predicting a winter storm that will hit Central New York late Monday night into Tuesday, bringing anywhere from 5" - 9" of snow to the area, followed by an accumulation of ice later on Tuesday. The snow and ice are expected to make travel difficult, along with an increased risk of power outages due to the ice. Most of Central New York is under a Winter Storm warning that begins either Tuesday morning or Tuesday afternoon. Keep in mind, the forecast is still developing. Snow totals and timing could change - we'll keep you posted as the forecast confidence increases. Potential for snow and sleet accumulations of 6 to 10 inches along and north of the NY Thruway corridor. Amounts of 4 to 7 inches are possible farther south across the rest of central NY and NE PA. Majority of the snow falls Monday night through Tuesday. Freezing rain amounts of around a tenth of an inch possible across all of central NY and northeast PA. The best chance for freezing rain is Tuesday afternoon and night. Significant snow, sleet, and freezing rain will make travel difficult. Wind gusts of 30-40 mph are possible Tuesday and especially Wednesday. to two tenths of an inch expected. * WHERE...Onondaga, Madison and Oneida Counties. gusting as high as 45 mph, mainly across the higher terrain. * WHERE...Herkimer, Hamilton, Fulton, and Montgomery counties. * WHEN...From 10 AM Tuesday to 4 PM EST Wednesday. 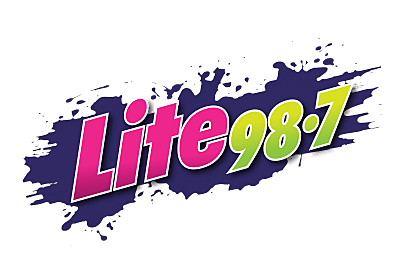 Download the Lite 98.7 App. You’ll receive local alerts, weather reports and more with push notifications.